This week Italian energy giant Enel swooped in to take 100 percent ownership of Demand Energy, an entrepreneurial U.S. energy storage company based in Washington state. Pay attention U.S. utilities, says Rob Thornton, president & CEO of the International District Energy Association, which includes the Microgrid Resources Coalition. It appears European utilities get it. These European companies are “assigning greater value to effective tools like Demand Energy for decarbonizing and delivering enhanced customer control and resiliency,” he said. An $80 billion energy company operating in 30 countries, Enel is striving to be carbon neutral by 2050. “In my opinion, US utilities that embrace this paradigm shift towards cleaner, more efficient decentralized solutions will likely prosper in the years ahead while those clinging to status quo, rate base monopolistic models may find themselves gone the way of Wang or Digital Equipment Corp.,” Thornton warned. Enel acquired Demand Energy through its subsidiary Enel Green Power North America, which works in 23 U.S. states and two Canadian provinces. EGPNA operates 100 renewable energy plants, totaling 2.8 GW, and is developing others. Demand Energy is a relatively small, but growing behind-the-meter energy storage and microgrids player. Founded in 2008, it has carried out 24 projects, totaling 3 MW/9 MWh of installed capacity in both the United States and Latin America. Its project pipeline exceeds 30 MW/100 MWh. “By combining our global presence and expertise in systems integration with Demand Energy’s software and established product offering, we will expand the development of renewables and storage both in the US and globally, delivering a clean, reliable, high-tech and cost-effective energy solution,” he said. The acquisition highlights the growing importance of software intelligence for energy storage and microgrids, a feature product for Demand Energy. Demand Energy’s Distributed Energy Network Optimization System (DEN.OSTM) software was selected for a microgrid recently announced at a Costa Rican medical manufacturing facility. The project is billed as the first advanced solar plus storage microgrid in Central America. Demand Energy also is involved in New York’s carefully watched non-wires alternative demonstration project in Brooklyn-Queens. Demand Energy was chosen to design and deliver a lithium-ion battery system for the program’s first microgrid that will serve a 625-unit apartment building. This isn’t the first acquisition of a small energy storage company by a major international player. Last year international oil company Total agreed to buy French battery maker Saft. Watch for more of this type of deal as the energy storage prices continue to drop and the market continues to ascend, said Matt Roberts, executive director of the Energy Storage Association (ESA). “Larger companies are now starting to see this really tangible impact of what storage is, how these projects work,” he said. The trend comes, too, as pairing of energy storage and microgrids grows more common, Roberts said. He attributes the increasing use of energy storage in microgrids in part to an aggressive drop in battery prices. In addition, microgrids are incorporating “a wider sweep of technologies” as they become more and more complex, he said. 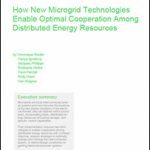 The complexity comes with advanced optimization of resources, not only within a single microgrid but with multiple microgrids working together, he said. “These more complex solutions are enabled by energy storage,” he said. “So it absolutely makes sense that companies are putting a lot of emphasis and focus on microgrids as a solution,” Roberts said. 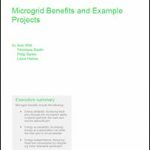 Track news about energy storage and microgrids by subscribing to the Microgrid Knowledge newsletter. It’s free. Actually, I don’t think it’s European experience that’s motivating this move. Rather, it’s their experience with variable renewables more generally, as well as an interest in micogrids and remote systems. I suspect we’ll see a lot of developers bulking up with storage capabilities of all sorts. “Pay attention U.S. utilities, says Rob Thornton, president & CEO of the International District Energy Association, which includes the Microgrid Resources Coalition. It appears European utilities get it. US Utilities have been operating as a basic monopoly and do not see the looming change coming into their kingdom. With the introduction of new CHP Turbine technology every boiler or district steam system will become, CHP, Micro-grid, with Resiliency and energy savings targeting the most lucrative markets commercial and industrial customer base of the utilities (district heat companies) and poaching its best customers.